Piston gauges are used to calibrate customer piston gauges and pressure sensing devices. Piston gauges are calibrated via a direct comparison to another piston gauge via crossfloat; a process where the NIST piston gauge and customer piston gauge generate a pressure which is compared and made equal by adjustment of small masses on the NIST gauge. This can be done in either gauge mode (piston and weight stack at atmospheric pressure) or absolute mode (piston and weight stack evacuated). Additionally, NIST calibrates customer pressure transducers against the NIST Piston Gauges. 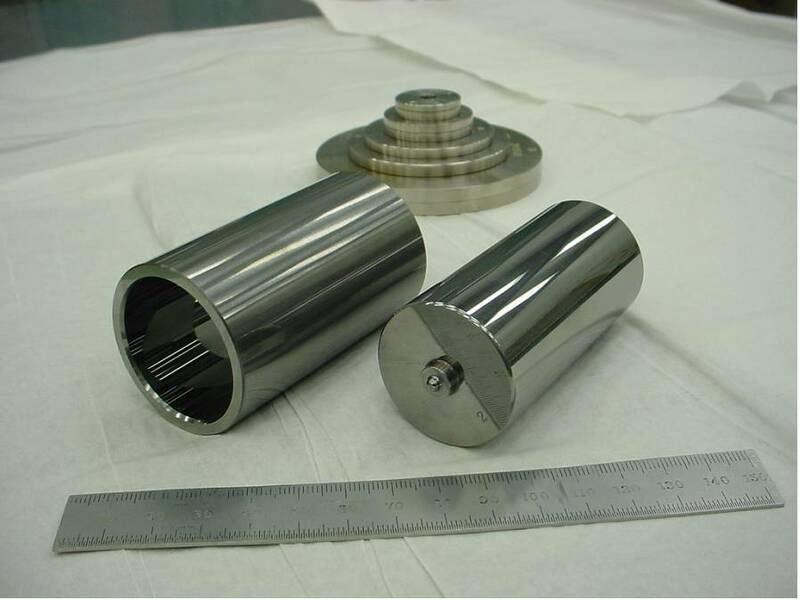 In 2006, NIST established two, 36 mm diameter piston-cylinder artifacts (referred to as PG38 and PG39) as primary standards through careful dimensional characterization of their diameters, modeling of the forces acting on the artifacts, and experimental comparison of the artifacts to each other and to the NIST mercury manometer. Establishing a pressure scale based on the primary standards required careful intercomparisons between those primary standards and ten secondary standard piston gauges. The secondary standard piston gauges have successively smaller diameters to allow extending the range from 1 MPa (the upper limit of PG38 and PG39) up to 17 MPa. Calibrations are performed on a first come first serve basis. For contact information, shipping address, or cost of calibration, see Pressure Measurements.